We’d love your help. 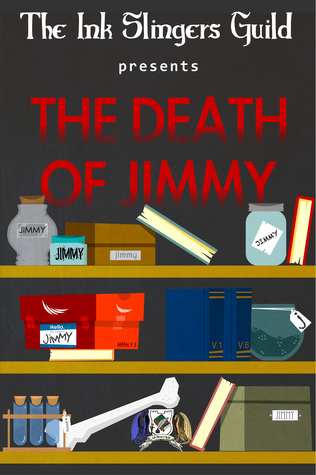 Let us know what’s wrong with this preview of The Death of Jimmy by Lisa Barry. My name is Jimmy and I am going to die. Not to worry, I haven't given away anything important. I instead wanted to talk about, what you will soon see, is the inevitable. In the following pages you will glimpse my many lives. Some were filled with adventure, some with love, and some danger. You shouldn't feel bad for me. I have loved living and more importantly, I know I am going to die. So I invite you to take a journey into the many worlds I have had the opportunity to kick the bucket in. I have gotten quite good at it. Well, most of the time at least. Perhaps we’ll meet on the other side. Published February 15th 2014 by Witching Hour Publishing, Inc.
To ask other readers questions about The Death of Jimmy, please sign up. I am fortunate to be able to work with the most exciting group of writers on this planet... Each of the stories thrilled me. Writing and reading Growing up in Florida was not a good enough reason for author, Lisa Barry, to avoid wearing black. A daily color choice, Lisa constantly pines for cool enough weather to wear boots.